Passed away suddenly on Monday, April 1, 2019 at the Ross Memorial Hospital, Lindsay, Ontario. Dear wife of the late Don Foster (2018). Loving mom to Paul (Pam). Baba will be missed by her grandchildren Stephanie (Jeff Goodwin) and Sarah (Paul) and her great grandchildren Audrey and Alison. Family and friends may call at the Lakeland Funeral & Cremation Centre, 19 Moose Road, Lindsay on Friday, April 5 from 12:30 P.M. - 2:00 P.M. Funeral Service will take place in the chapel at 2:00 P.M. Reception to follow. 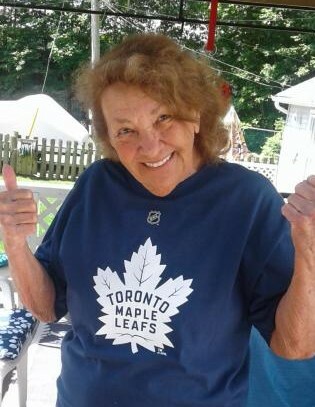 If desired, donations in memory of Gladys to the Heart and Stroke Foundation of Ontario would be appreciated by the family.